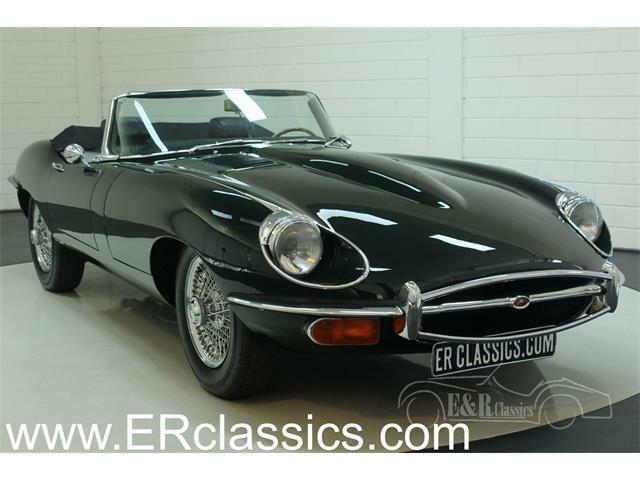 The Jaguar E-Type has been universally hailed since new as one of the most beautiful cars ever constructed. 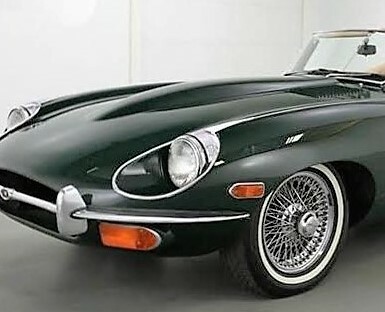 The Jaguar E-Type has been universally hailed since new as one of the most beautiful cars ever constructed. 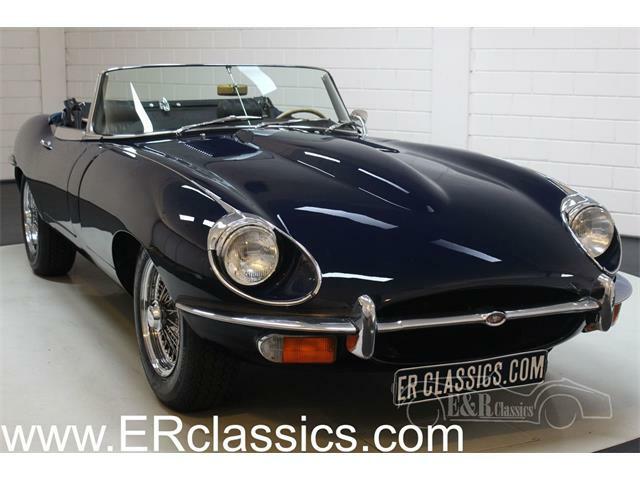 Even Enzo Ferrari called the E-Type, “The most beautiful car ever made.” High praise indeed, and no car is more worthy of that praise than the E Jag. 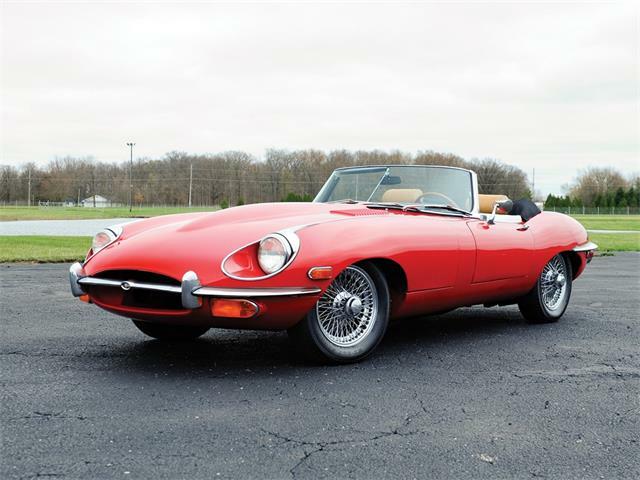 The Pick of the Day is this nice 1969 Jaguar E-Type OTS, or roadster, located in Grand Rapids Michigan. According to the dealer’s listing on ClassicCars.com, the XK-E Series 2 was purchased by a client in 1982 from New York before he moved to Grand Rapids, and the car was garage-kept since it was purchased. 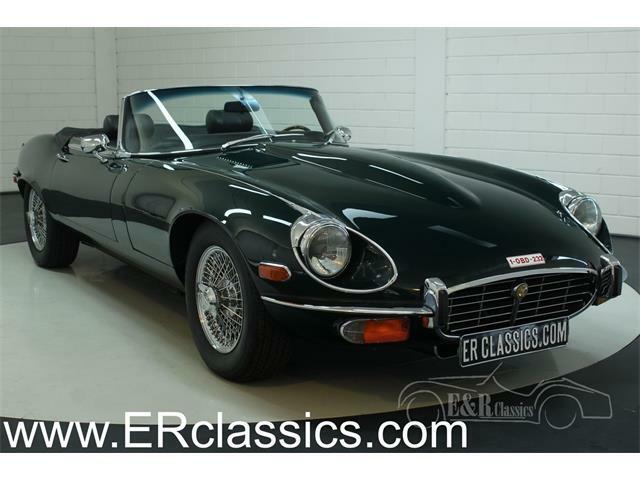 The seller also states that in 1989, the owner had two local shops perform some restoration work that included professionally restoring the body and painting the car in its original British Racing Green color. After the paint work was completed, the owner had the interior restored in tan leather. 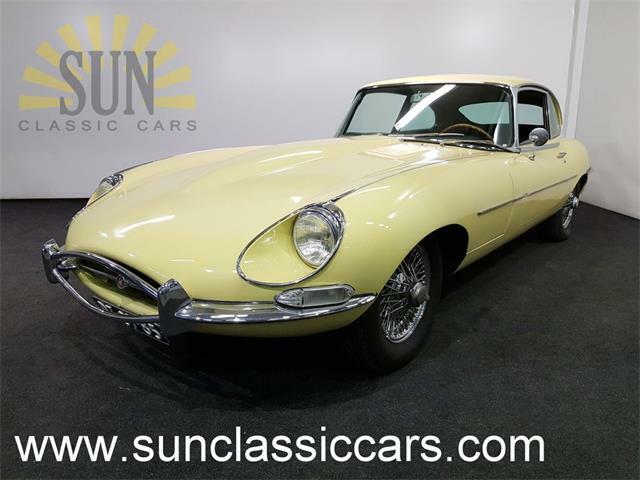 Both the exterior and interior finishes remain in great condition, the seller says, as the car has not been driven much since and is stored in a garage through the winters. Actually, the reason the client is selling, the listing says, is because he feels the car needs to be driven more and hopes the next owner will do just that. 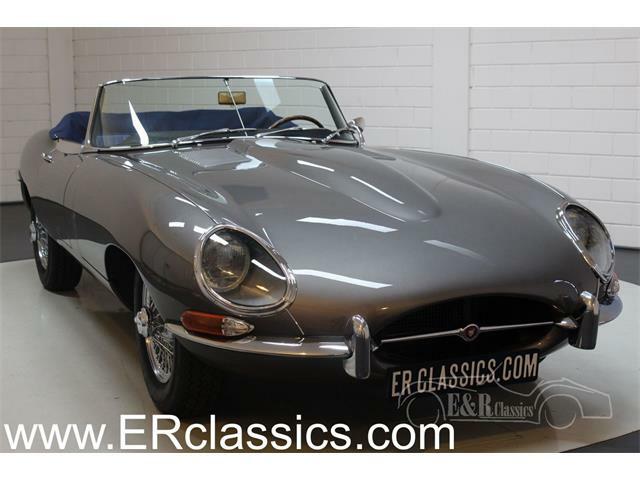 This E-Type is powered by its original 4.2-liter, 246-horsepower, twin-overhead-cam straight-6 engine, which starts right up due to an upgraded electronic ignition, according to the seller, and the car runs and drives exceptionally well. The only non-period upgrade is the addition of an aftermarket radio. 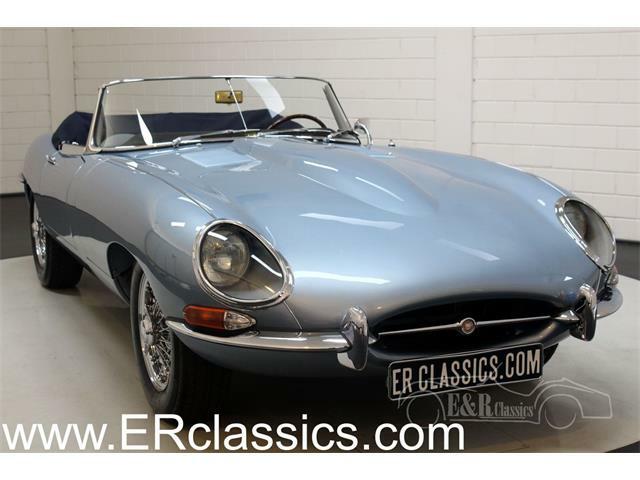 With all the upward movement in the E-Type market, the last real value on any of these cars are the Series 2 models. 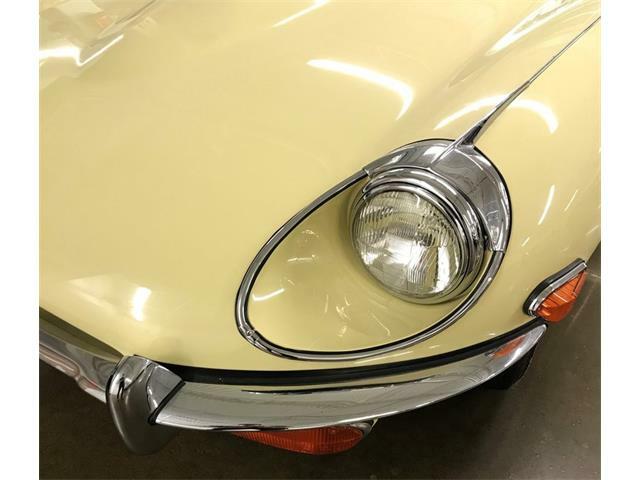 These do not have the iconic covered headlights of the Series 1 and the grille opening is larger, but these changes make for an E-Type with headlights that function better and an engine that cools more efficiently. From behind the wheel, the Series 2 cars offer a view over the hood that is just about as spectacular as that of the Series 1 cars, but for a lower price. The driving experience of a Series 2 car is just as amazing, if not a bit better than the Series 1 Jags. The driving feel of an E-Type, when compared with a Ferrari or Maserati of the same era, seems light years ahead of its Italian counterparts. The Jaguars feel more like cars of the late 1970s rather than the ‘60s, offering strong power, good handling, telepathic steering and excellent brakes. 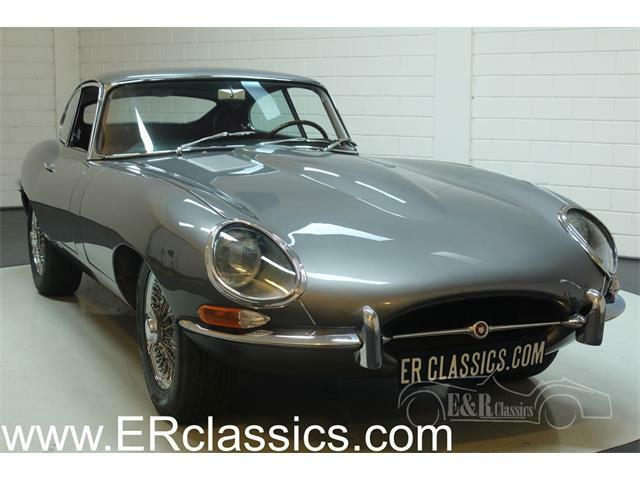 As the attractive Series 1 E-Types continue to climb in value, the Series 2 cars are keeping pace at a lower level. And they are still a bargain in comparison. This car is priced fairly at $64,000 and looks like a car that it’s new owner can enjoy for years to come. 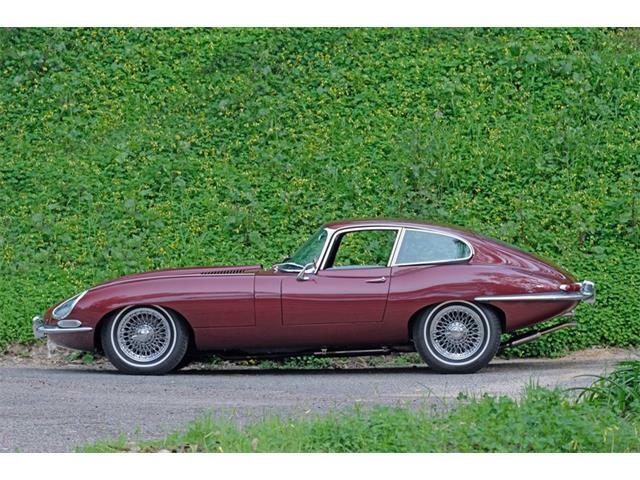 For my money, these Jaguars represent possibly the best value in a big-time classic 1960s sports car available today.